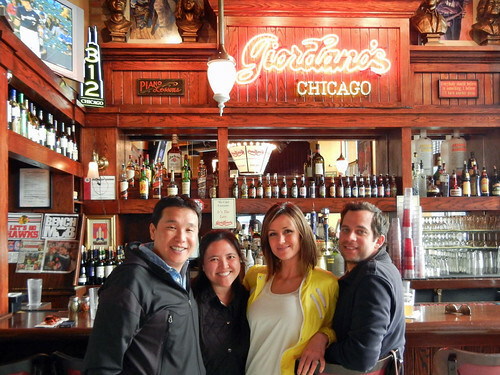 We didn't really plan to go to Giordano's. In fact, we'd already eaten lunch while we were hanging out at Navy Pier. But we were strolling down Michigan Avenue, headed to the incredible giant Ralph Lauren, and we decided to try a small pie at the bar. After all, we were on a quest for Chicago specialties for Mr. Cruiser, and I'd never actually eaten deep dish pizza while in Chicago either. Surely, we could stomach a small sausage pizza ($15.35) even though we'd had lunch not long before. So hearty. So cheesy. 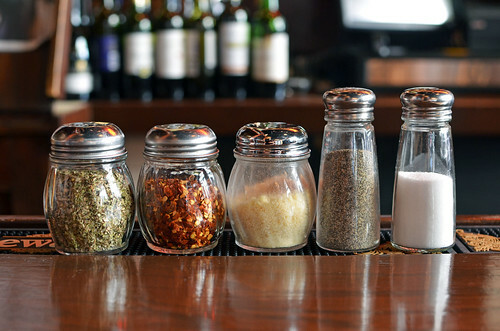 So saucy. So good. So everything. So worth the stop for a little taste of a popular Chicago chain. 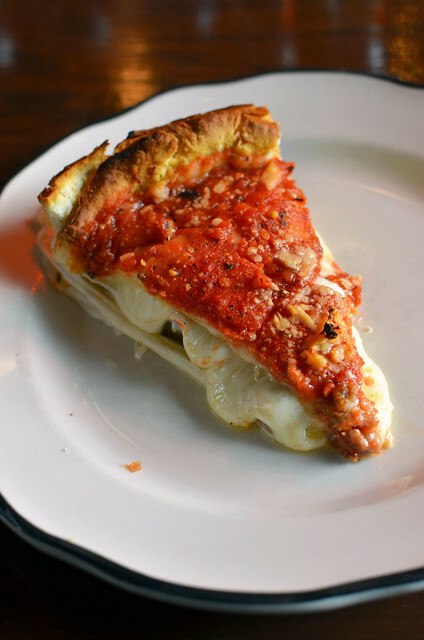 We're going to conquer more deep dish next time to compare. Hey, I've eaten here! We stopped in after looking for some pizza late one night after a day of too much beer. I recall having a similar tasty experience. Of course, I was starving, so I think I would have been happy with cardbaord slathered in cheese. 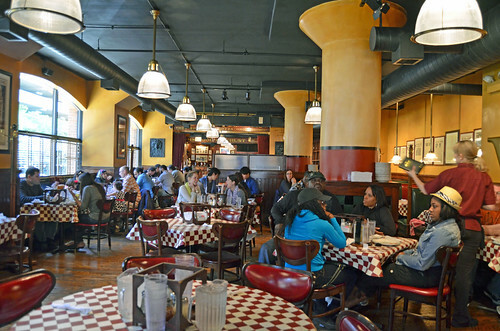 Luckily, Giordano's is much better than that! I was delighted with my little slice! I am also looking forward to what I assume is the upcoming ralph lauren post. Ha! I wish! I snapped a pic with my iPhone, and a salesperson told me, "NO PHOTOS!" 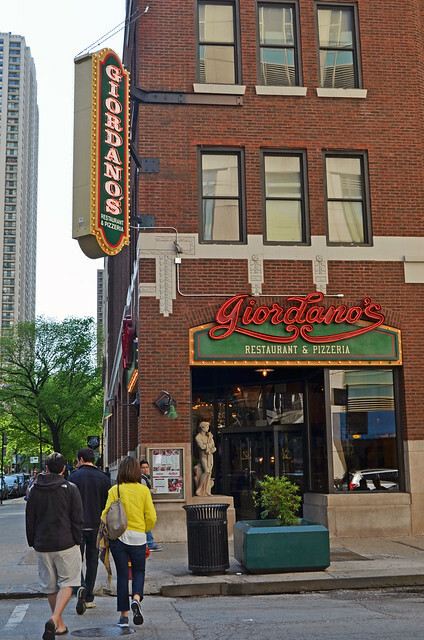 Giordano's is my favorite deep dish! When I was in college, Monday's were half off night. You had to get there at least 30 min before they opened to guarantee a table. Yum! 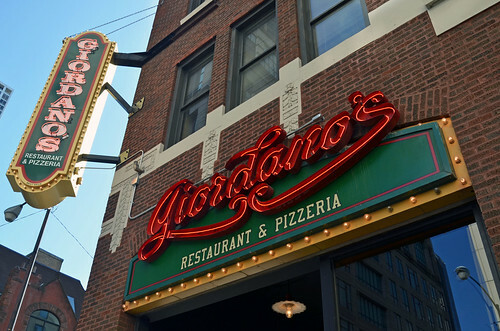 Another vote for Giordano's! Woohoo! Ditto everyone else! 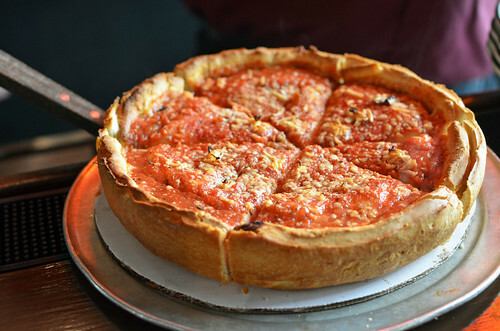 My favorite deep dish in Chicago! (Though I liked the spinach stuffed version the best.) 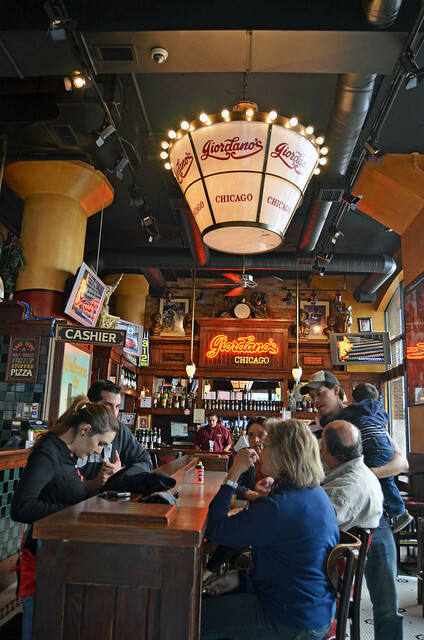 Either way, Giordano's beats the sauce out of Lou Malnati's. Ooh, I bet spinach is goooooooood. 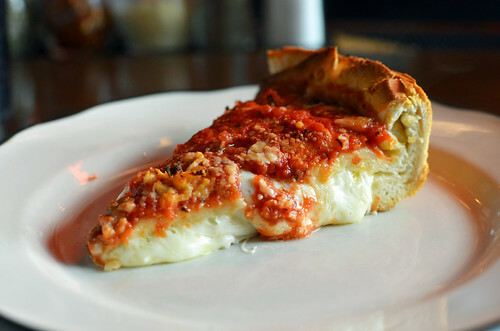 deep dish is one reason i want to go to chicago. It's a pretty good reason.